If you possess an unquenchable thirst to meet and greet endemic animal species, head over to the Sinharaja Rainforest in Sri Lanka for an enthralling experience. Do read on to know more facts. Staying true to its name, the Sinharaja Forest which means the ‘Lion Kingdom’ is an important biodiversity hotspot in Sri Lanka. It is home to more than 50% of endemic species including mammals, butterflies as well as many kinds of insects and reptiles. In 1988, this forest became a UNESCO World Heritage Site due to its exceptional geological features. Many tourists tend to experience and explore this treasure trove bursting with diverse species of flora and fauna. You’ll certainly be amazed to view how scintillating beams of sunlight fall dramatically through the canopy of dense trees and over rugged rocks. The huge trees that are clad in exotic ferns and winding lianas wrapped around the base of trees add extra charm and beauty to the forest. A park that is covered in most popular Sri Lanka wildlife tours, the Sinharaja Rainforest is a hotspot among many tourists who wish to discover some of nature’s hidden natural wonders. If you wish to visit this rainforest, try to plan your journey with one of the leading tour operators such as Nature Odyssey to experience the natural wilderness of this natural wonderland. During your tour around the forest, you are ensured to fall in love with the astounding nature. 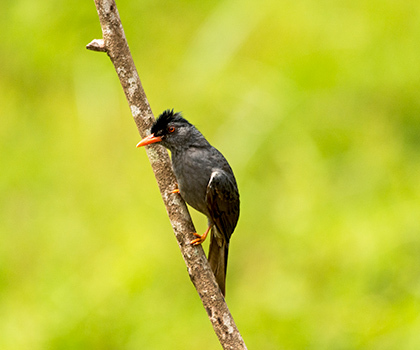 Whether it is for bird watching or Sinharaja Rainforest camping, you are ensured to gather memories for a lifetime. Previous Post A Girl’s Guide to Shop in Seminyak – For that Perfect Shopping Spree!